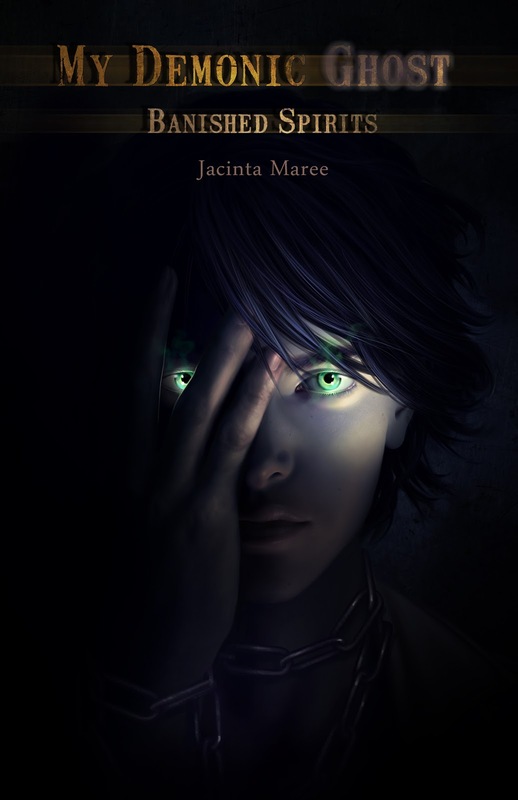 Paranormal Addicts welcomes new author Jacinta Maree. Let's give her a warm welcome!! Welcome Jacinta, can you tell us a little about yourself how long you've been writing? Thank you so much for speaking with me. I’ve been writing stories since I was just a kid. I really don’t know how I got into it, considering no one in my family are writers, it just kind of happened on its own. I completed my first story when I was in grade two; it was about a house infested with bats. All throughout my schooling years from primary school up to university I have been writing. You may be surprised to hear I wasn’t much of a reader; all of my time was spent creating my own stories. By the time I started reading novels regularly I had already developed my own writing style so it was hard for me to draw similarities between my work and those of professional authors. I must’ve done something right though. Writing isn’t my main source of income so I have a job working in construction with my family. I had interests in Real Estate for a while and achieved my Sales Rep certificate. I was one of those annoying telemarketers who had to call up after work hours trying to get your business. Eek! Some people were nice; some would just slam the phone down in my ear or scream at me. Never again! Sacrifices. I’m not a night life person so as soon as I get back from work I try and jump on the computer to knock out a few paragraphs. I have sporting commitments and I tend to leave my weekends open for catch ups but after work I try to limit myself to staying at home. I love playing video games. I especially love Bioware; the writers on the Mass Effect teams are absolutely brilliant. Actually, now that I think about it I just love video games in general. I still love looking at real estate and keeping my eye on the market, I can’t walk past a display home without venturing inside. Hmm… you may be surprised to hear I’m 22 years old. Not many people know my age. To get published has been a long life dream of mine, it was the wish I always wished for when blowing out my birthday candles every year. The only reason why I wanted to get published was to prove I was worthy of something. I’m not the best at sports or singing or art, so I thought I might be special at writing at least. I had set it to be my life’s goal to get published so I was so amazed how quickly to happened once I actually set my mind to it. At the beginning I only approached Australian Publishing houses. It was very tough; I was lucky to get a rejection letter as a lot of the time I was either ignored or forgotten so it got quite disheartening. I had spent almost a year researching and researching until I came across Staccato Publishing who were interested in the same stuff that I’m interested in. I had approached them to get professionally editing, as I had figured my amateur editing was the reason for my knock backs. One thing led to another and amazingly they opened their doors for me to join their amazing team. Music is my biggest inspiration! It helps move the scene along, trigger emotions and reactions and it opens up doors to new possibilities and worlds. I also find when you just take notice of the little things around you that there are so many untold stories and interesting characters to meet. I question things continuously. Why do people need sleep? What if our shadows had souls? What if aliens existed? So on. It’s really, really fun to watch the stories unfold themselves with the right nudge. Ah, the dreaded ‘writers block’ problem nearly every author has come face to face with. I’ve created many methods to overcome writers block. My favourite… scene jumping. If I know what needs to happen but I can’t seem to write the path from A to B I just scene jump and write scene B anyway. The story always manages to connect itself together later on anyway. I also have a method of ‘don’t look back’. It’s a matter of just writing, ignoring the spelling mistakes, the awkward sentence structure and the primary school level of storytelling and just putting the plot into motion. Once you have the path mapped out it’s as simple as going back and making everything pretty and perfect. It’s not a pretty as I would hope. I love to write while in my pajamas or something that I can just stretch and feel comfortable in. I am a morning person so all my best stuff happens as soon as I wake up. I sit at my desk in my room with the blinds open so when my eyes start to itch I can look at something other than a computer screen. I have a view into our front garden which is nice. Cup of warm tea that I finish in like 30 seconds (I’m way too eager) and I always have youtube/itunes open blasting music. Mera’s YA Books: This author really does have a brilliant imagination, while reading this story I could clearly see everything talked about in great detail without the author having to drag on about what characters and places look like. E.C Hibbs: The entire cast is rife with believability, and an originality that truly marks them as individuals – which I found especially impressive in the case of the Banished Spirits. Open Book Society: The seven sins are grotesquely frightening. The most hair-raising character was mother the serpent like creature. I think I would have peed myself if I had to face her. Hmm… I know I have a terrible habit and when someone points it out I mentally slap myself because I ‘should know better’, I have a habit of drowning my sentences in too much descriptive words. It’s a terrible habit and I know I need to break it, simple is sometimes better. I would love to. Currently I’ve finished My Demonic Ghost book two, the Reapers. It’s sitting in the very capable hands of Staccato Publishing to go through editing. I’ve got myself focused on my NaNoWriMo book about cyborgs and romance. (Interesting combo no?). It’s my first sci-fi work and it’s definitely a challenge. Hell Yeah! My plan is to write a trilogy, but the more I dive deeper into their world the more I feel overwhelmed by their secrets and problems. If I’m not careful, My Demonic Ghost will be looking at book four. How did you come up with the character Lock? Lock was a combination of many characters. For starters I drew inspirational from Casper the Friendly ghost mainly because of his childish innocence. I wanted a young male lead to contrast with the horror and evil that is ‘the banished world’. Lock isn’t perfect, he makes mistakes and is considered to be selfish, but he is also capable of redeeming himself. To watch him grow and mature is heartwarming and one of the perks of being an author. Thank you Jacinta for stopping by and sharing a little about yourself and your work. We hope to see you back again. Check out her great giveaway below and spread the word!! Be sure to stop by her haunts! Rachael has traveled to Whitehaven to visit her father, a trek she can not help but dread given his recent descent into madness. Upon her arrival she realizes his deterioration has not only been mental, it’s been physical as well. His death comes as no surprise, but what she discovers soon after, is shocking when his burden becomes hers. Lock is a banished spirit who must attach himself to a human host in order to hide from those who would drag him back to hell to be destroyed. When he meets Rachael he finds more than a host, he finds an ally. Together they must defeat each of the seven sins in order to guarantee Lock's safe passage into the Third Realm, a loophole in creation that would allow him to escape hell and have peace at long last. Through their unlikely friendship, other banished spirits flock to them in hopes of a peace they hadn't dreamt possible. This book sounds very intresting and refreshingly different I am adding to my tbr pile. Toni really has outdone herself on this one, thank you so much for your support Yvonne!! Thank you again Toni for this awesome feature, I'm so excited to see who gets to take home the grand prize. Oh I found you on DA, I have to say I love your work. I've always wanted to write a full blown novel but I just never get passed short stories. Did you write many short stories or did you go straight for novels??? If so did you ever develop your short stories into longer stories. Have you thought about writing any other series??? You're on DA too!!! That's fantastic, and thank you so much for the compliment. Oh, I just looked you up, looks like I'm already watching you. >_< I wish I could write short stories, I struggle when I am confined to a minimum word count. I jumped straight into novels. But, opposed to short stories I would write out manga or comic strips of my ideas BEFORE i start writing novels. Weird I know :/ lol. In regards to other series I'm working on two at the moment. Gosh, it's keeping me busy! One is high fantasy, again about demons and the damned (i think I may be obsessed? )and the other is a sci-fi about cyborgs.You must have a favourite genre you write in? I've been dying for a hard copy of this wonderful book! I love the cover so much. I'm dying for a hard copy of this wonderful book! I love the cover so much. Looks amazing!! Who's your greatest inspiration? Thank you Joc! ^_^ My greatest inspiration? Hmm... well, I love reading Stephan King novels and Brent Weeks but I don't think they inspired me to write My Demonic Ghost. In all honesty, I got my inspiration from a movie back when I was just a kid. Casper the Friendly Ghost is what triggered the book, he actually is what I based the demonic character Lock off. Obviously Lock is more twisted and sour, but it's the innocence of Casper that made me what to write a young love. Especially that scene when Casper whispers to a drowsy Kat 'Can I keep you?' it always managed to make me weep. *giggles* Hee hee, thank you so much Tiffany! I really, really appreciate your support and kindness. <3 it means the world to me. I can't wait to read your book! 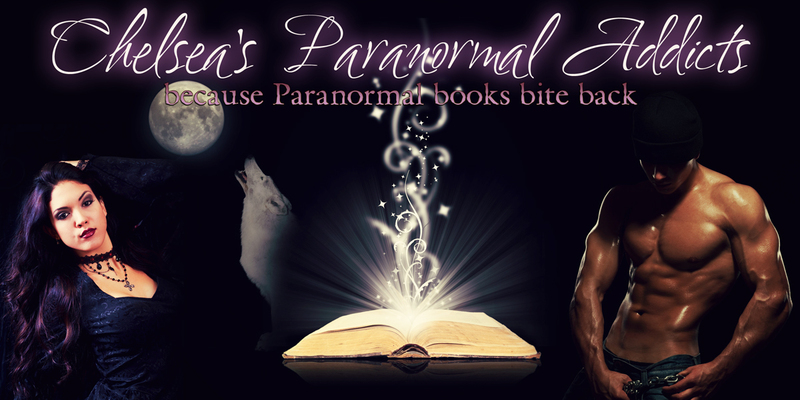 I love, love, LOVE paranormal books!! Thank you, that's so fantastic to hear! Paranormal is my favourite too, anything really with a touch of romance and misunderstood lead loves. It is such a unique story. It is different from the stories out now. Awww, thank you. I actually got the idea from the french philospher Descartes. He started to question our reality and had said something about a 'demon god' which made me to think of an afterlife which wasn't black and white. I always like to asking this to authors. Tell us please your favorite books! Hello Gisele, Hmm... my favourite book. Well I have heaps that I love, for instant I really enjoyed reading City of Bones but my favourite author so far is Brent Weeks with his The Night Angel Trilogy: The Way of Shadows, Shadow’s Edge and Beyond the Shadows.